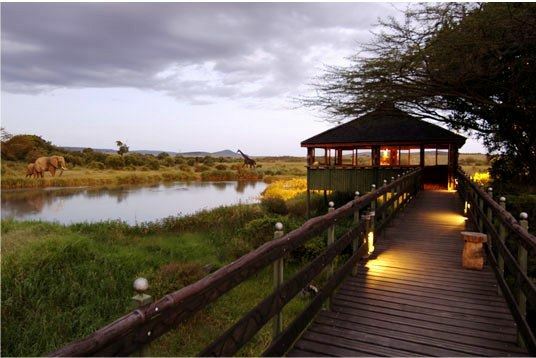 Sited in the direct path of the wildebeest migration, Keekorok Lodge was the first to be built in the Masai Mara. At the height of the migration, Keekorok is surrounded by a swarming mass of animals and there is hardly need to go for a game drive. Keekorok's charm lies in the liberal use of local building materials. Sand stone, cedar wood and other indigenous materials are used in all rooms and public areas. A 300m walkway meanders through the riverine forest in front of the lodge with a small bar at one end. It is overlooking a dam where the resident hippo, if he is not on a walk about, finds his observers as fascinating as they find him. The lodge offers 10 single and 79 twin rooms, and they have their own verandah with excellent views of the Reserve. All have bathrooms en- suite with a toilet and either a shower or both. Most of the rooms have mosquito gauze covering the windows and each room is shaded by shingle roof. All is based on Full Board, which includes morning tea or coffee, breakfast, luncheon, afternoon tea and dinner. Luncheon boxes are available by prior request for guests taking all-day game drives. Located in the very heart of Kenya’s fabled Masai Mara National Reserve, Keekorok, meaning diverse abundance in the local Maasai language, was constructed in 1962 on an 80 acre site in an area of permanent springs and lush grassland. All kinds of animals and birds abound here. Many species of mammals and reptiles, and an astonishing amount of birds have been recorded in the reserve. The Lodge has everything possible; no matter who you are, Keekorok will help you feel at home. 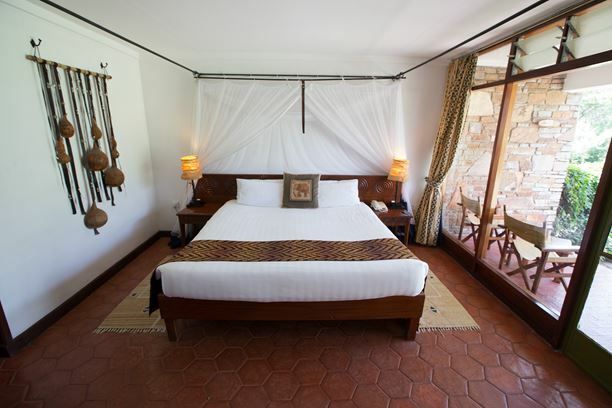 With the largest gift store in the game park, spacious grounds, countless activities, a sparkling pool, fantastic food and beverage options, and a rich history as the oldest game lodge in the Masai Mara, Keekorok is an unforgettable experience in the Masai Mara. 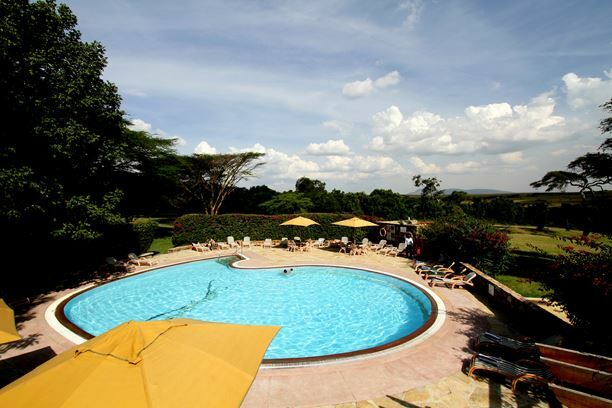 Are you interested in booking at the Keekorok Lodge? Click here for the best rates. As your plane lands at the Keekorok airstrip, you will find yourself in the heart of the Maasai Mara National Reserve. You will be picked up in your own 4x4 Land Cruiser at the airstrip and, after passing a family of elephants or a herd of zebras on the short drive to the lodge, Keekorok Lodge will welcome you with open arms!